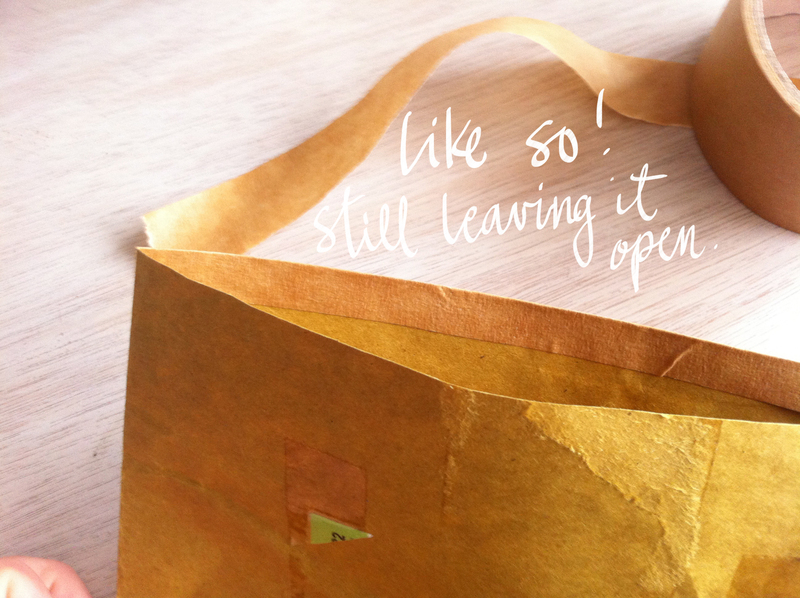 Lovely Scrolling | A little bit of design, diy´s, fashion, food, lifestyle and a little bit of me. Hello Everyone, Happy New Year, I hope you had a wonderful Christmas Holiday. 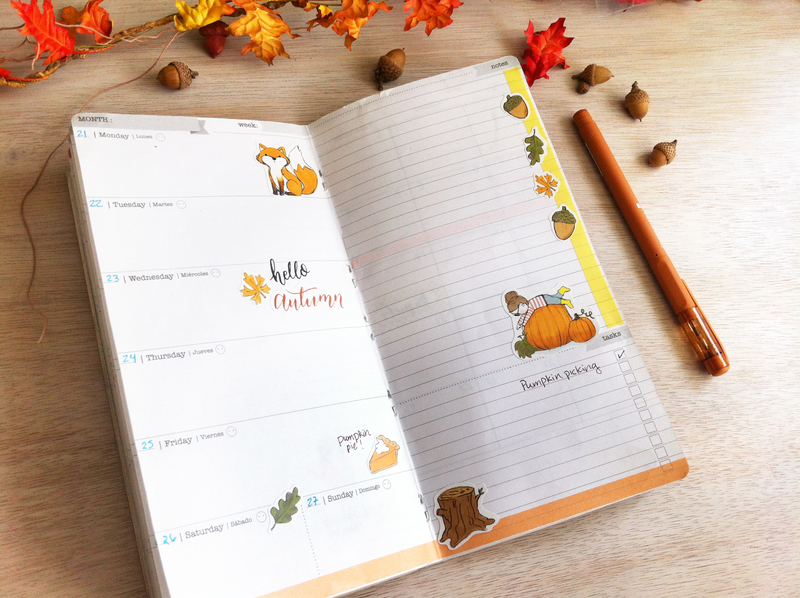 I want to share my first video on youtube where I show how to set up your Lovely Scrolling Planner for 2016; Using all the stickers that the planner comes with and the ones I sell on my shop. I hope you like it and like all youtuber say “give it a thumbs up” 🙂 Enjoy! My favorite time of the year is finally here, Christmas is all about remembering the birth of Jesus our savior. Even if it´s not the exact date, the whole world remembers the history and life changing event. Christmas is not about gifts, its not about Santa Claus and comercial images, its not just about sharing love; even though that is one major thing we have to do. Christmas is all about remembering the birth of Jesus , son of the Almighty God, that came to earth as a humble servant and died in our place; justifying the sins of mankind. This year we should share the Love Jesus gives us , share it with the people we love, and with people that don´t know Jesus as a loving father and savior. When I think of winter and Christmas , I always think about snow even though where I live, we dont get any , but I have beautiful memories from my childhood and some traveling experiences where I got to see and enjoy snow. 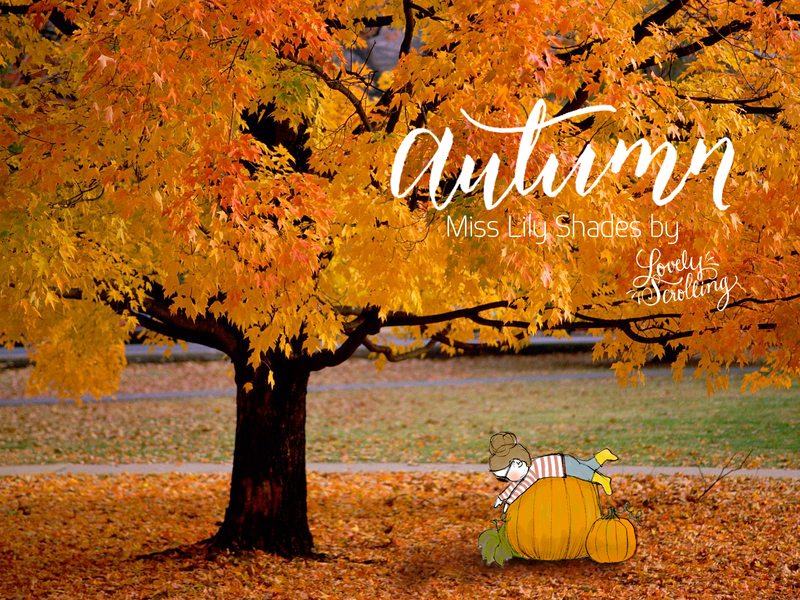 I also want to share my latest sticker design with Miss Lily Shades. 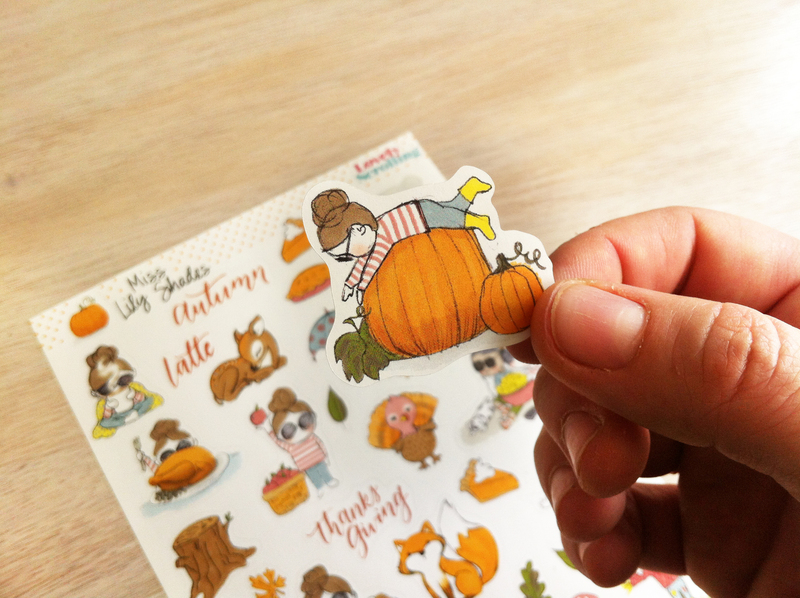 In this sticker set you´ll see Miss Lily having some winter fun and wating on “Santa”, putting all the christmas decorations and Nativity set. 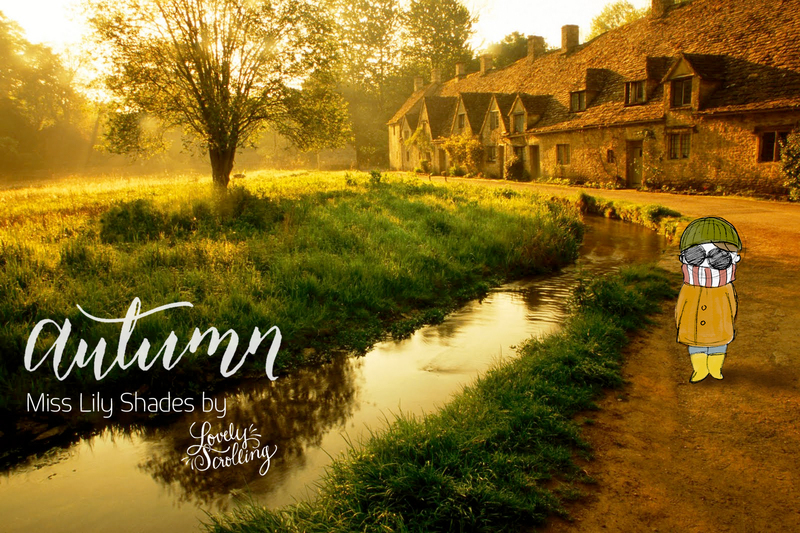 I hope you enjoy this set if you already ordered it. Merry Christmas Everyone I hope you have a wonderfull season full of Love arround you. Oliver Jeffers, picture book maker. I found this video via Pinterest about Oliver Jeffers and I just loved it, seeing someone that enjoys life through drawing images and creating stories just makes me happy. I believe everybody should do what they love and make profit out of it. I hope you find this video inspirational for your life and it did to mine. 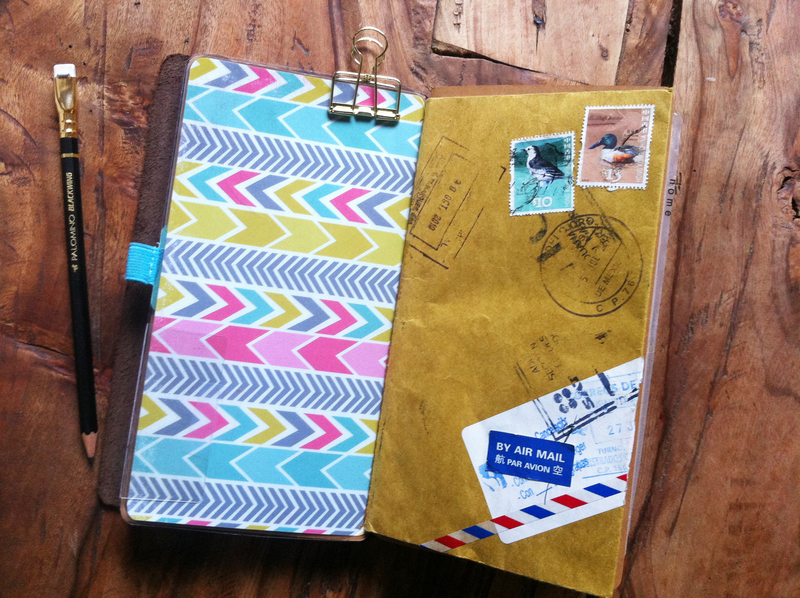 Using an old, used, all stamped mailing envelope could be the perfect way to make a folder pocket for your midori. 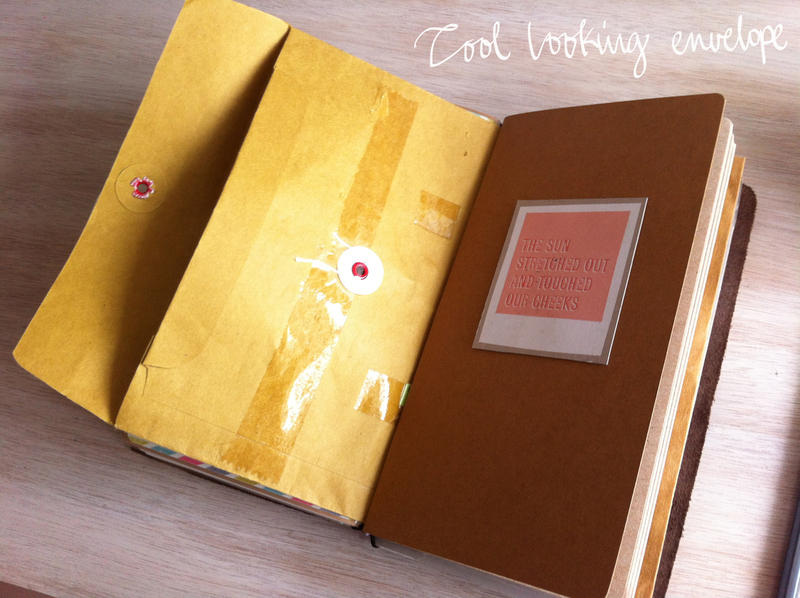 Very easy to make and great for cool looking extra storage in you travel journal. 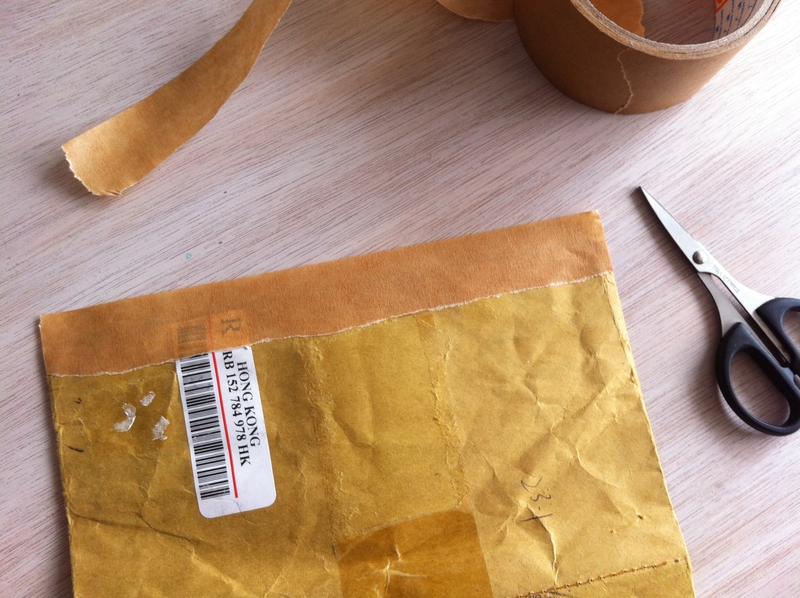 As shown in the picture above I´m using an envelope I received from Hong Kong a few years ago with pretty mailing stamps, the size is a little smaller than a letter size paper. 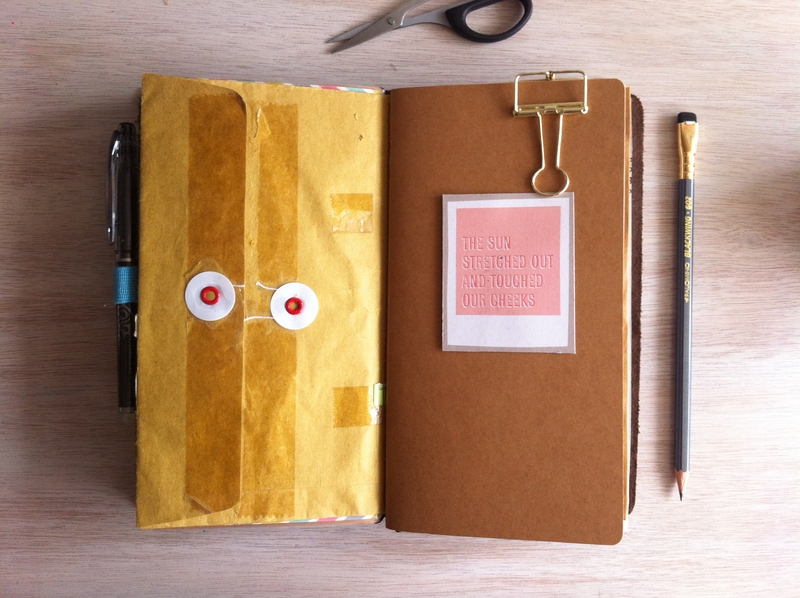 What you’ll have to do is to measure your planner, in my case I´m measuring my own planner (found on my etsy shop) and doubling the size cut the bottom part to leave it open and get the right size. Now folded in half. You´ll get something like this. 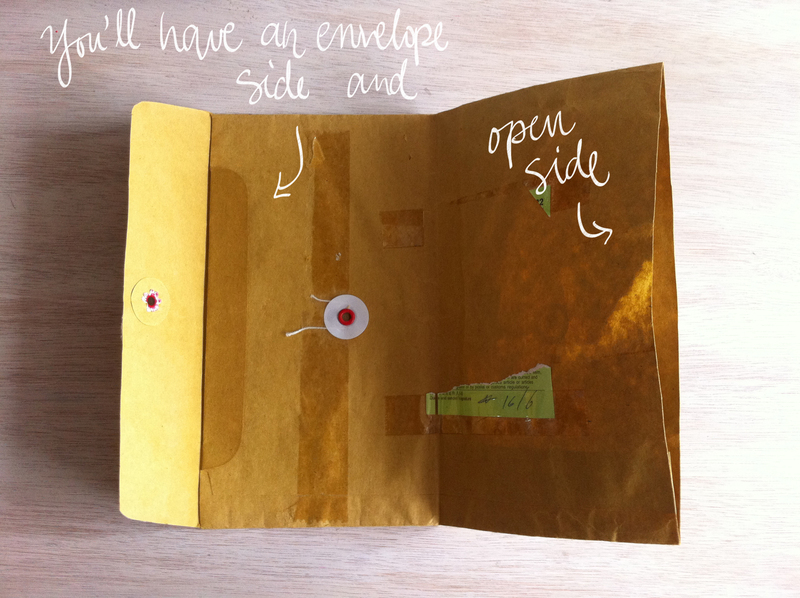 An envelope side and an open side. 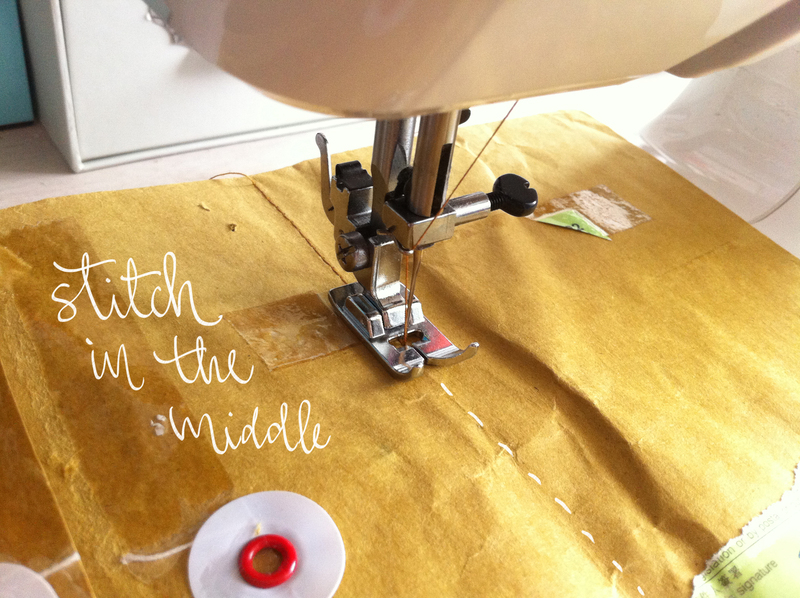 Using your sewing machine or if you are brave enough stitch it by hand, stitch that middle line you just fold. As shown below. You´ll have something like this. 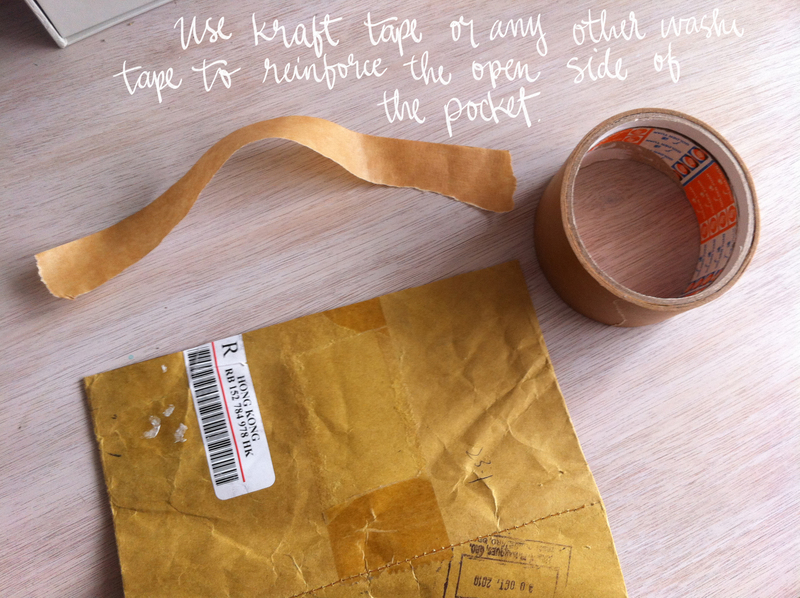 Now using some kraft tape or washi tape as you prefer, cover the edges of the open pocket to reinforce it. This will make it strong and prevent it from tearing. 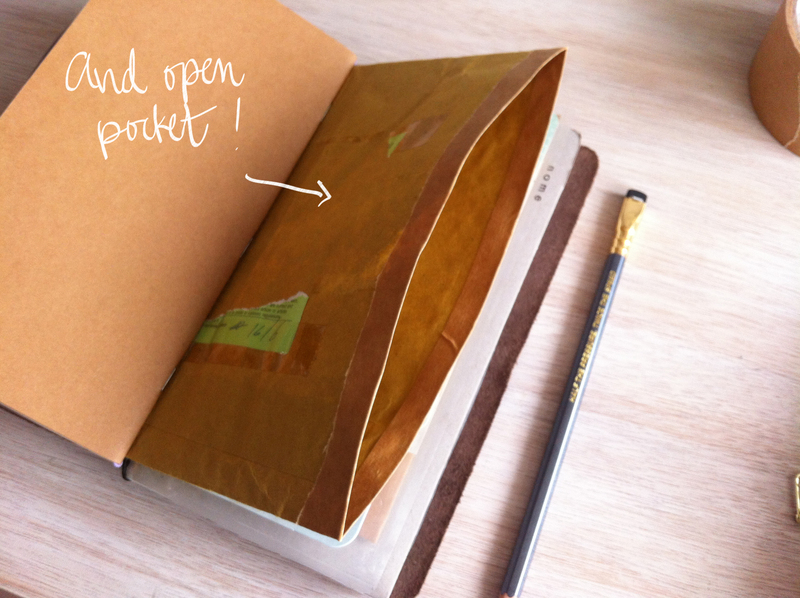 Do not close the pocket just protect the edges leaving it open. 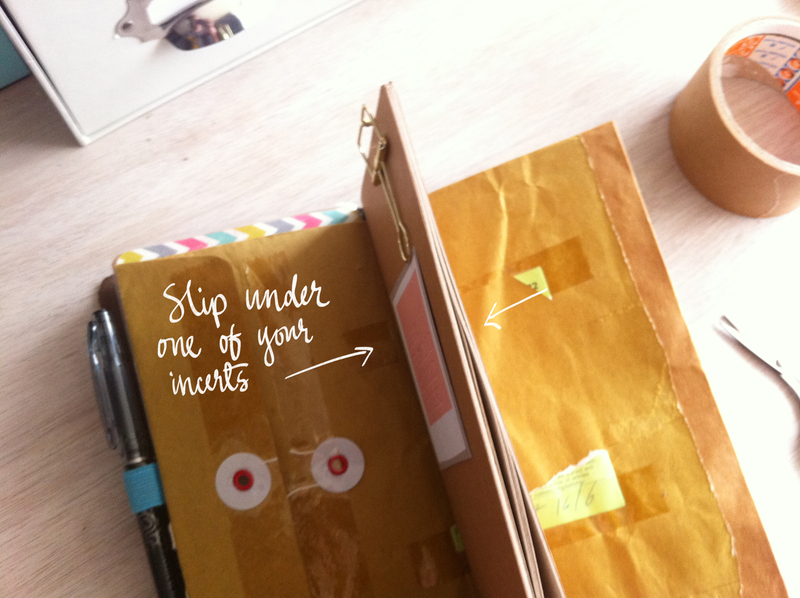 Now you can slip it under your insert. 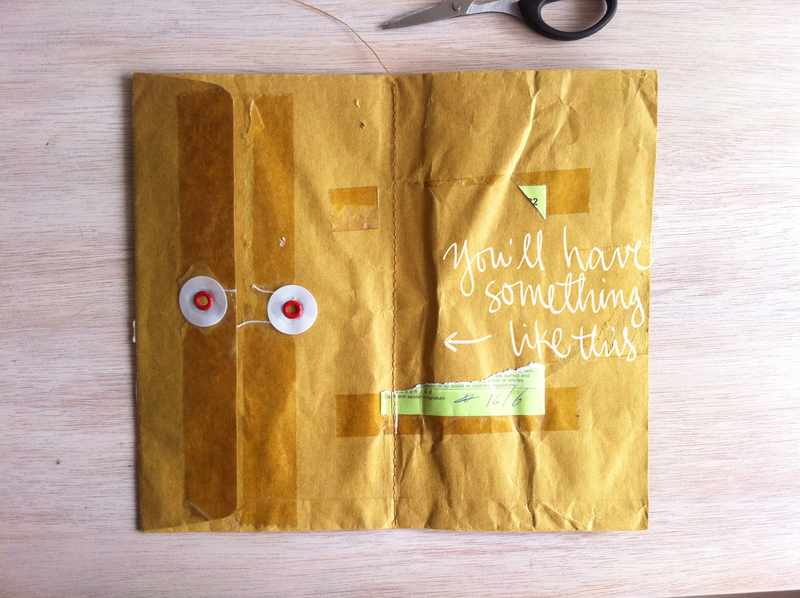 And you are done!…you can go ahead and start decorating with memorabilia and whatever you want to put over your new envelope folder pocket thing.. haha. 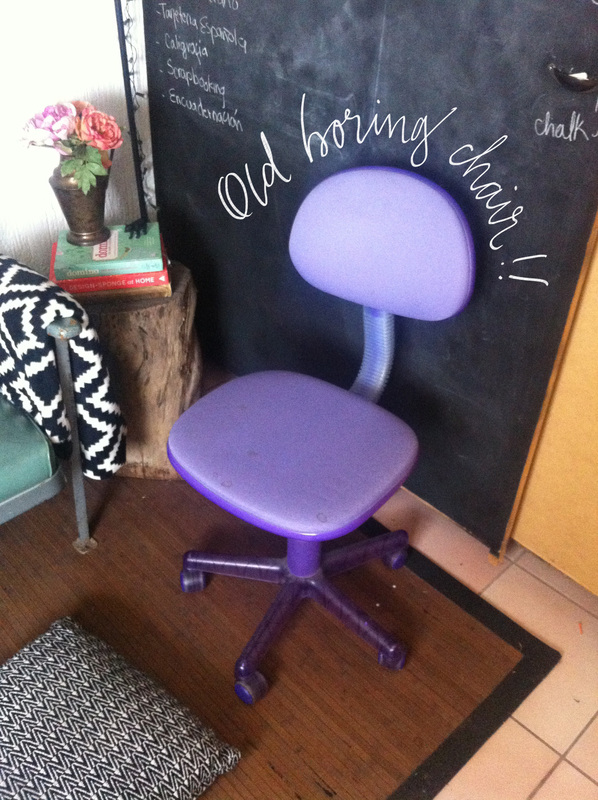 Having old furniture in your office could be quite depressing. Giving an uplift to your office chair could be a great inexpensive idea to make your office stylish and fun. 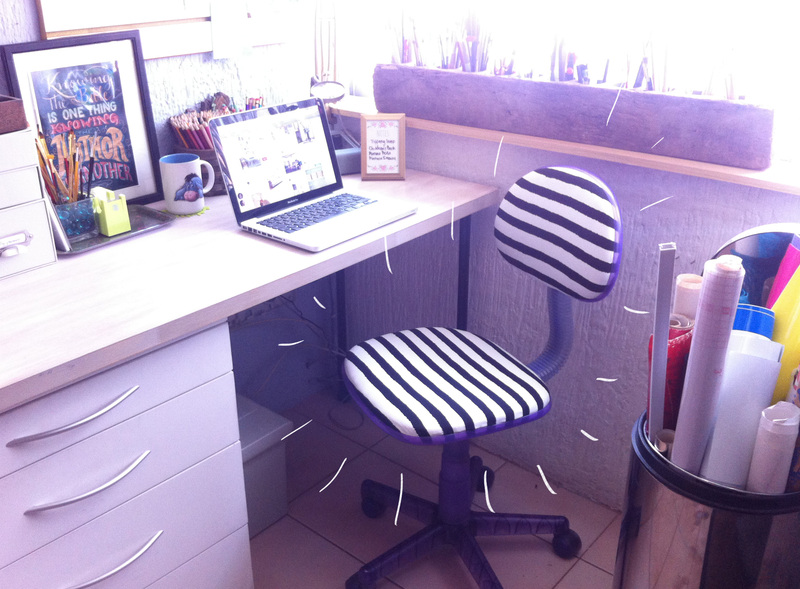 Right now in my office I have a double desk and is mostly decorated in black-and-white with hints of mint and some coral pink , since I´m currently using a white aluminum Eames chair I wanted my other chair to also match and no look so out of place, so that’s why I choose this striped b/w fabric. This project took me less than an hour and it’s a pretty fun DIY to do on the weekend. You will only need a few tools that you probably already have at your home, I use some leftover fabric that I had from another project so this is a very inexpensive yet dramatic change project you can make for your office. of course a chair, stapler, fabric, screwdriver and some scissors. 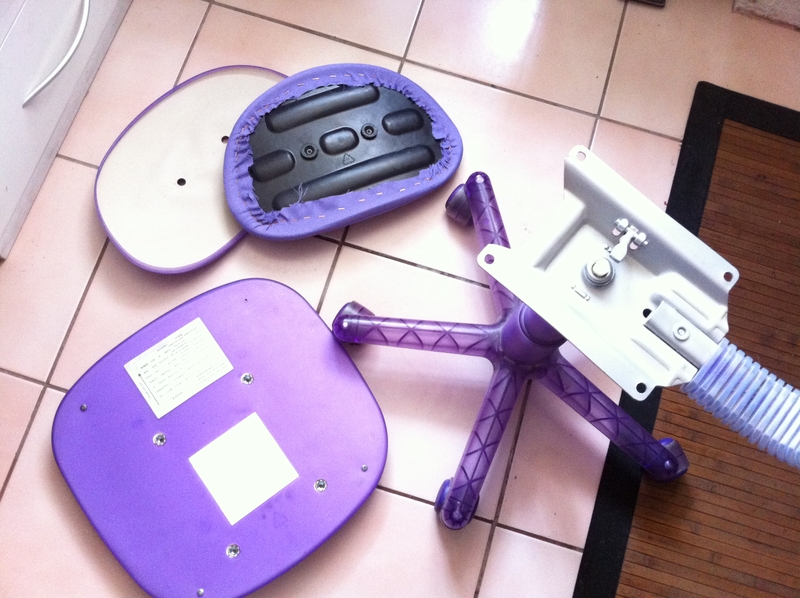 The first step you´ll have to do is to take apart your chair and expose the back part of the sitting and back cushions. Since I’m using for this project a black-and-white print fabric I’m also adding a liner that helps brighten the white areas of my print. 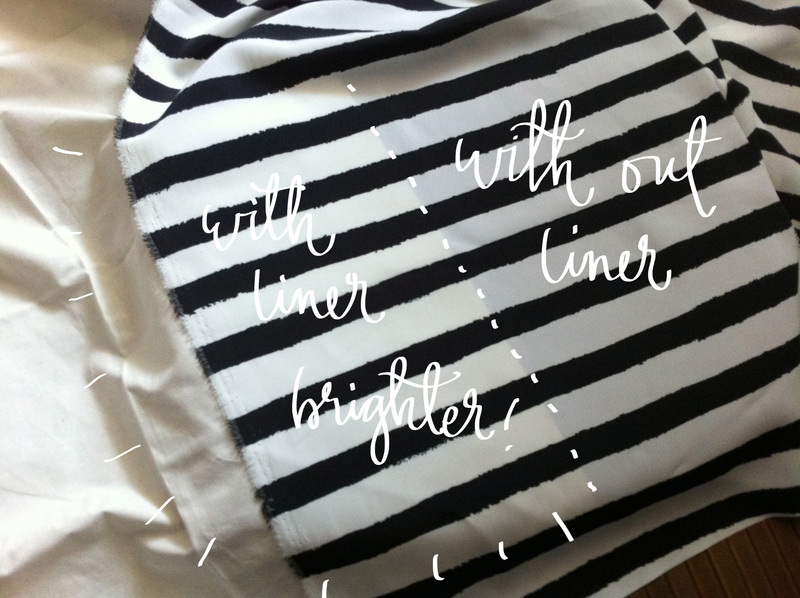 You can see in the picture below the difference it makes using the liner to the white color. Since my chair has dark purple cover it makes my fabric look a little bit dark, but if your chair has a light color fabric or your new fabric is completely dark you can skip this step. 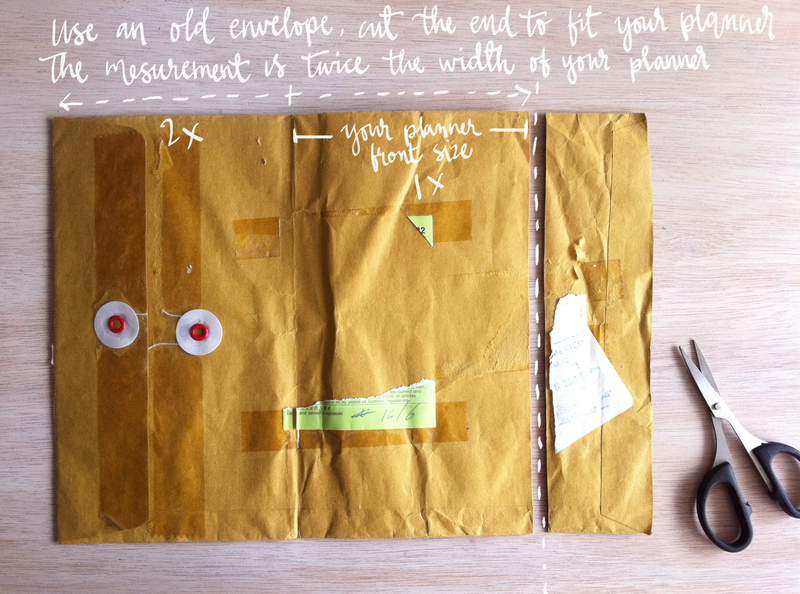 Go ahead and trace over your pieces of fabric the shape of the cushion leaving an extra 2 inches around the perimeter . 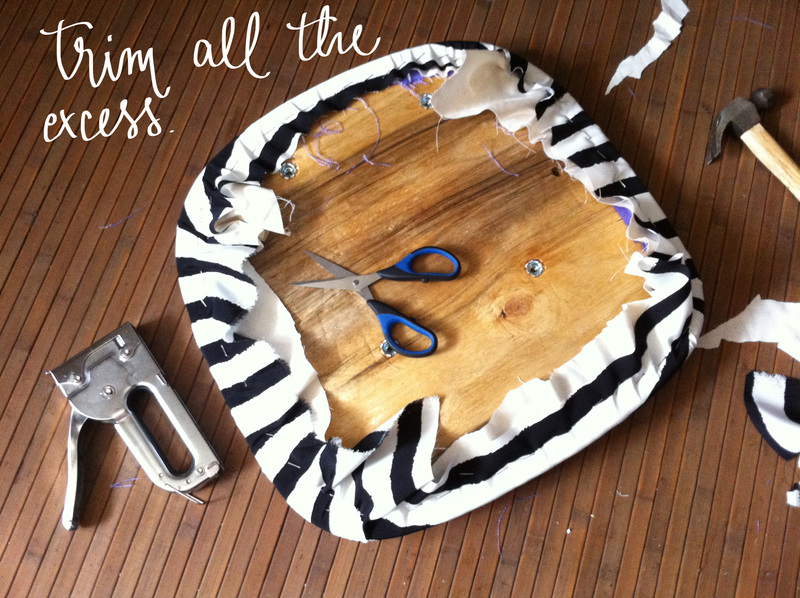 Now you can start flipping the cushion over your fabrics and start stapling and tightening the fabric as you go along. 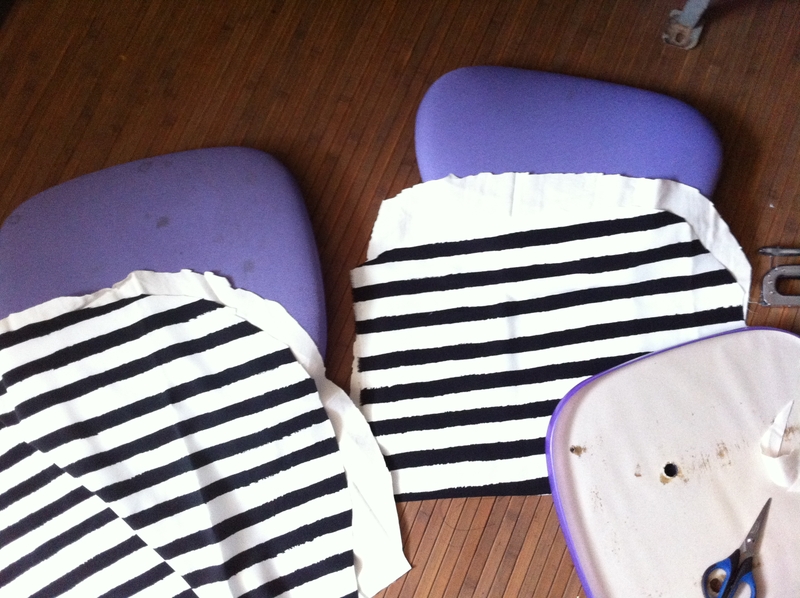 Its very important not to rush, you’ll have to flip your cushion several time to make sure its straight and alined, specially if your fabric has an specific patter or design it could end up crocked or not perfectly alined. Take your time during this step this is what makes it look profesional. Onces you are done go ahead and trim all the excess fabric with a pair of scissors. Now you have a very stylish new chair. You can also spray paint the legs and all plastic parts to match your fabric. in my case I decided not too because I wanted to still have a pop of color in this case the translucent purple color that I still like. Tips on choosing your fabric would be not to choose very stretchy one and also someone that it’s durable, easy to clean and that goes with your office Decor. 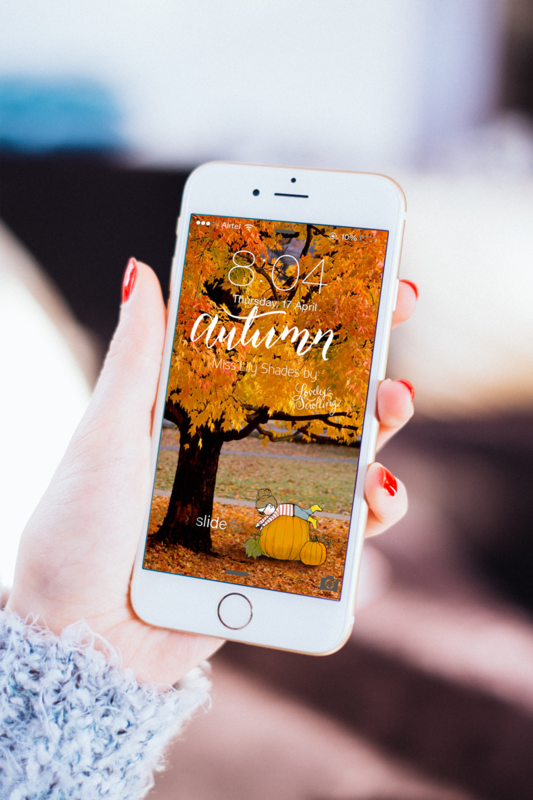 I hope you you’ve liked this post, please let me know in a comment and feel free to share some pictures if you re-created this DIY.